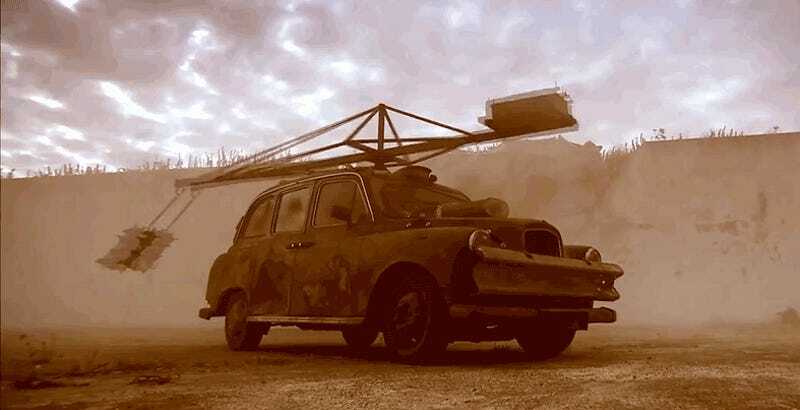 In the apocalypse, it’s likely that resources will be scarce, mechanics will be long gone, and your car will be on its last legs. Stay prepared with these 10 steps! If you can’t keep your car running in the non-apocalyptic world, there’s no way you’ll be able to to keep it running during the apocalypse. Stay on top of those oil changes! But wait, where are you going to perform those services? Could you imagine living out of an abandoned mechanic’s shop or, even better, a dealership service center of your choosing? You’d be equipped with all the tools to keep your apocalypse ride going and spare parts up the wazoo. Hell yes. Even in a dealership service center it’s likely you won’t find everything you’d need. So what are you going to do? You’ve somehow survived the first wave of the apocalypse and all that you’re left with is your Mk3 VW GTI and your 2001 Range Rover. So basically, you’re screwed, unless you start to hoard tons of replacement parts in that fancy new shop you live in and keep your cars going forever. While you’re in there doing those oil changes and services, might as well make a continued good use of your time. Simplify your car’s mechanics and remove all those crazy unnecessary technologies that are prone to breaking and leaving you stranded. You don’t need ‘em anyways. By converting your car to biodiesel, filling your tank up will pretty much be as simple as finding some stale corn and dead leaves and stuffing them into your fuel filler. Well, not exactly. But it’s a hell of a lot easier to make biodiesel than it it is to make gasoline or try using stale gas. In this potential apocalyptic world, it’s incredibly possible that roads and much of the world’s infrastructure has been wiped out. But that doesn’t mean underground rail systems would be destroyed too. Own those rails! If you’re lucky enough to be in possession of an electric car (or if you’ve converted to electric drive) during the inevitable apocalypse, I would highly recommend rigging up a solar paneled electric charging station. Just, uh, hope that there’s no electromagnetic pulse or EMP disabler screwing around with the technology on Earth. There’s no point in keeping your car or truck well-maintained if you’re just going to get it stuck while running from baddies, creating the new world and finding new resources and what not. That’s why reader Derel1cte would take the time to turn his Land Rover into a proper off road beast. I have a 2005 Land Rover LR3. I know everyone says it’s unreliable but the Jag 4.4 V8 in it is bulletproof. My only concerns for the apocalypse are the air suspension and fuel. In the event things go south. There are a couple changes I could make right away to improve its reliability and reduce the amount of maintenance. Step 1. Replace Air Suspension with some OME Coilovers. There are many kits for rovers to do this. Solves the only real issue in modern LRs. Step 2. Install auxiliary gas tank. Kits are available to replace the spare tire with a large aux gas tank and pipe it into the existing system. Double the range, double the get-outta-dodge-ability. Step 3. Install sliders, skid plates, push bar. to keep any important parts from being killed by rocks or brush. Step 4. Install Dual battery setup. Land Rovers are VERY dependent on a strong battery, having multiple w/spares will be a lifesaver. Step 5. Install roof rack with Jerry Cans full of premium, spare batteries, light bars, etc. Done. Also, spares will be easy to come by from all the Land Rovers that were not slightly modified to handle the end of the world. Who knows what you might run into out in the great beyond during an apocalypse. Might as well stay prepared. And there’s no better way to stay prepared against potential enemies than to strap a massive machine gun to the top of your car. That’s where the .50 comes in. While living out the apocalypse riding around in your fancy biodiesel car or truck, you may be forgetting that fuel and other resources just don’t last forever. So what will you do when you run out of usable gasoline, diesel and food byproducts? Drop that useless motor and transmission out, strap two work horses to the front and get cracking. Or maybe you should ditch the car altogether learn how to ride the horse itself. Just don’t give it such a hard time.